The Dead or Alive 6 roster has officially grown by two. Koei Tecmo has revealed more veteran fighters will be returning in the newest installment of the long-running franchise. Brad “The Drunken Fighter” Wong and “The Apprentice of the Iron Fist” Eliot are both entering the titular tournament once again in 2019. The two of them bring the base roster of Dead or Alive 6 to 24. Brad Wong, a master of Zui Ba Xian Quan, uses his drunkenness to his advantage in an attempt to catch opponents off their guard. 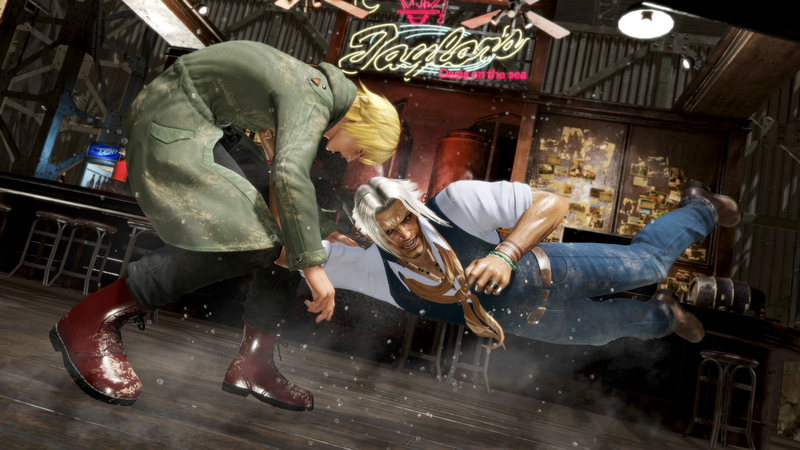 Using unexpected stances such as headstands, he is one of the most unpredictable fighters in the tournament. Eliot, on the other hand, is a scholar who utilizes the style of Xingyi Quan. Brad Wong debuted in Dead or Alive 3, while Eliot came a bit later in Dead or Alive 4. A new stage was also revealed for Dead or Alive 6. Known as “Unforgettable,” it is is full of fan service for those who have been playing Dead or Alive games throughout the years. It is full of callbacks to Dead or Alive’s various locations, and even includes multiple functional Danger Zones. The two are but the latest veteran fighters to enter the newest tournament. The roster is mostly comprised of return characters, including Christie, Tina, and Honoka. However, there will be a couple of newcomers this time around. The New York-based fighter Diego and the electrifying NiCO are the only two newcomers confirmed so far. Dead or Alive 6 will be released on February 15, 2019 for the PlayStation 4, Xbox One, and PC. If you preorder it, you can also get access to another fighter: Nyotengu.